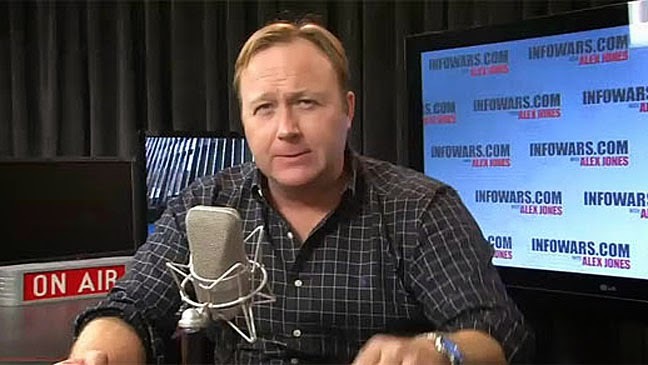 The High Priest of conspiracy theorists, INFOWAR's Alex Jones, has totally lost control of his Armyof nuts. He has tried to calm the fears of the Operation Jade Helm 15 truthers that a handful of Walmart closings around the country are not being used to dig tunnels to China to facilitate a Red invasion, and have absolutely nothing to do with the TOTALLY REAL Jade Helm conspiracy, which is that routine military exercise that is actually a secret plot whereby President Obama plans to invade and conquer Texas. “There’s no truth to the rumors. The tunnels are part of a series of conspiracy theories surrounding “Jade Helm 15,” a military training operation set to take place later this year in seven Western states....."
We really want to know what Walmart's Community Relations Lorenzo Lopez’s face looked like when he had to send that email. Of course, he probably was wearing the evil grin of somebody who’s IN ON THE CONSPIRACY. And oh God, now that Walmart has become One Of Them, where will the Jade Helm conspiracy nuts buy their supplies for the coming Obamapocalypse, apparently involving hordes of Chinese gun grabbing invaders? This comes on the heels of the Pentagon ALSO trying to reassure the possibly clinically insane Jones followers currently stockpiling powdered milk for the coming war that no, they actually are not planning to use a routine military exercise to take over Texas. Of course, Walmart’s reassurances, and the Pentagon’s reassurances, will do nothing to relieve the pants-shittin' fears of those who somehow managed to convince Texas Gov. Greg Abbott that this “crisis” was worth activating Texas’s State Guard. They KNOW the truth. And when absolutely nothing happens, when their fear boners subside, they can always fall back on chem-trails or overzealous masturbation, or whatever other stuff they like to do.